Audi SQ5 Performance, Engine, Ride, Handling | What Car? 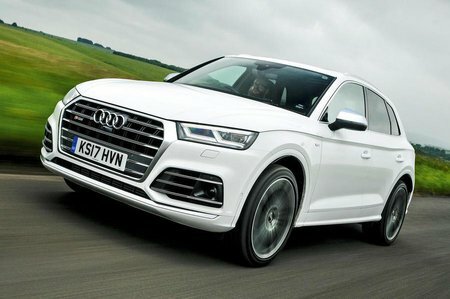 It's likely that a 3.0-litre diesel model will join at a later date, but for now the new SQ5 is petrol only. As we've already mentioned, the turbocharged V6 engine delivers seriously eye-widening acceleration accompanied by distinctive V6 howl. Mind you, the Mercedes GLC 43 AMG is even quicker in a straight line and its engine sounds fruitier than the SQ5's, too. The standard eight-speed automatic gearbox can be a little slow to respond when moving away from a standstill, but it reacts snappily once you're on the move – especially if you change gear manually using the paddle shifters mounted behind the steering wheel. There are various driving modes to flick between, the most focused of which is Dynamic. This setting sharpens the SQ5's accelerator response, adds weight to the steering and makes the gearbox even more assertive. If you've chosen to add the optional adaptive air suspension (£1000), Dynamic mode also stiffens the car up to reduce body lean through corners. The results are good: the SQ5 controls its body remarkably well through tight bends and feels more eager to change direction than the GLC 43. That said, the rival Macan is more rewarding to drive quickly, helped by the fact its steering feels more naturally weighted and provides a better sense of connection with the front wheels. 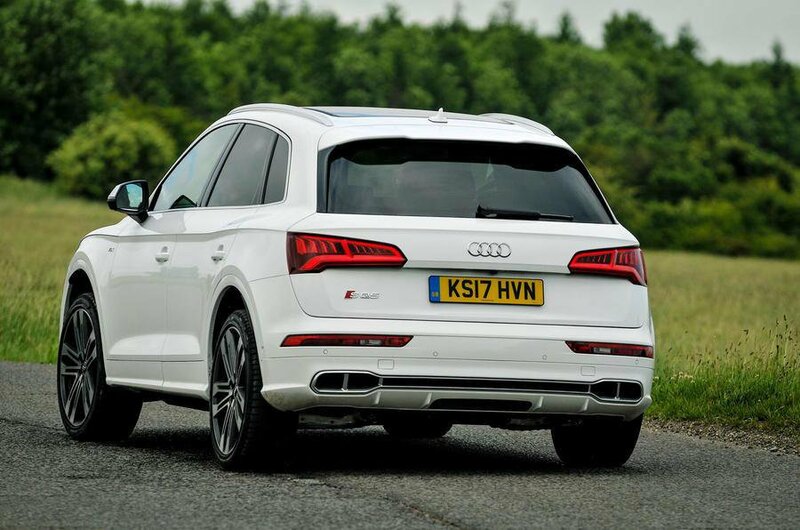 Flick the SQ5 back into Comfort mode and everything relaxes, including the optional air suspension, which does a superb job of smoothing out all manner of lumps and bumps. The SQ5 rides 30mm lower than the standard Q5, and on larger 20in alloy wheels, but this doesn't seem to affect ride comfort. Mind you, we haven't yet tried the standard suspension. Throw in the SQ5's whisper-quiet interior and it's a hugely relaxing car to cover big miles in, even if you'll have to stop regularly for fuel.